The market is sensing a major turn. As I’ve noted before, the currency markets are the largest, most liquid markets on the planet. As such they sense changes first. With that in mind, consider that the “inflation” currencies are showing a major turn in the $USD. 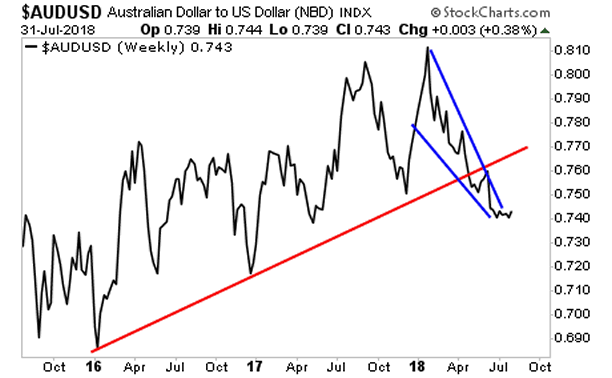 First and foremost, the Australian Dollar: $USD pair looks to have bottomed. We have a clear bullish falling wedge formation being broken to the upside. We should expect a retest of former support (red line) at the very least. 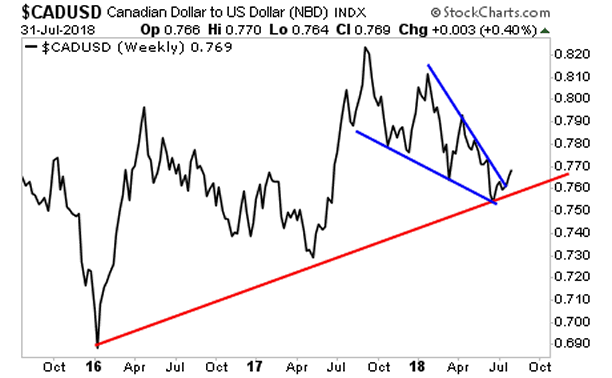 Next up is the Canada Dollar: $USD pair (another inflationary currency pair). Here again we have a bullish falling wedge pattern breaking out to the upside. Even better, we HELD support (red line) here. 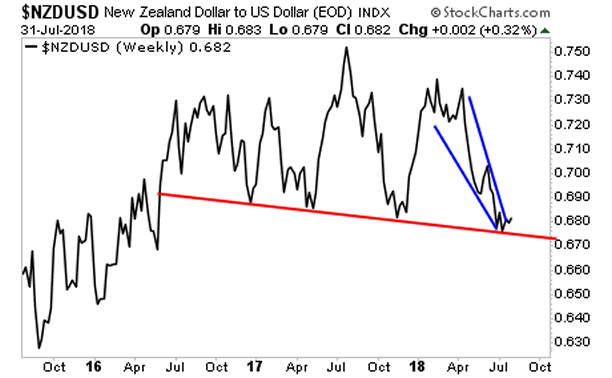 And finally, we have the New Zealand Dollar: $USD pair, where we have yet another bullish falling wedge pattern breaking out to the upside with support (red line) being held. One of this alone is significant. But all three taken together STRONGLY indicate that the $USD is prepared to roll over. Again, we’re talking about the MOST sensitive markets on the planet signaling in three different ways that an inflationary move/ weak $USD is about to hit. This tells us, the Fed is about to “walk back” its tightening schedule. And those who are prepared for this, will see MAJOR gains.